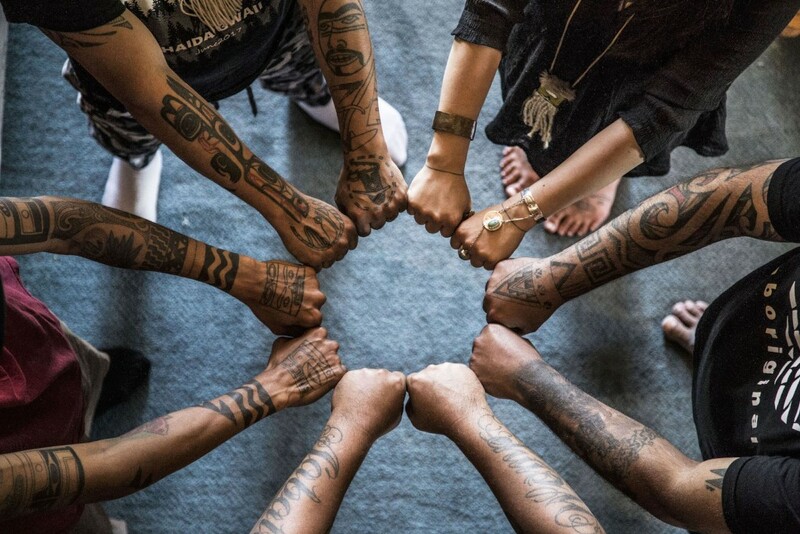 Bill Reid Gallery of Northwest Coast Art, celebrating its 10th anniversary, presents the premiere exhibition, BODY LANGUAGE: Reawakening Cultural Tattooing of the Northwest, on display June 8, 2018 – January 13, 2019. Guest curator Dion Kaszas of the Nlaka’pamux First Nation traces the deep-rooted traditions of Indigenous tattooing, piercing and personal adornment. Prior to the 1885 Potlatch ban, the art of tattooing and piercing was integral to Northwest Indigenous ceremony and social rank. Today, these traditions are re-emerging not as mere decoration, but to provide healing, protection and a meaningful sense of belonging. Uncover the symbolic and distinctive designs for skin, and their relationship to traditional clothing, rock art, jewellery, basketry, and weaving with works by Nakkita Trimble (Nisga’a); Nahaan (Tlingit); Corey Bulpitt (Haida); Dean Hunt (Heiltsuk) and Dion Kaszas (Nlaka’pamux).